Tommy Tortuga is a charming, fully illustrated children’s book that’s easy to adore. The first two volumes are written using rhymes, alliteration, onomatopoeia and metaphors. Each page contains a secret hidden image. This timely tale follows Tommy on an adventure where he takes initiative, uses creativity and learns a surprising secret skill that he quickly learns to love. However, something is amiss around him. What’s gotten into everyone around him? By the end of the story, you will begin to observe “Tommy moments” happening around you each day. For a little turtle, Tommy Tortuga is big on ideas. Tommy Tortuga is not only a children’s book, it is also profound and thought provoking. It just goes to show that you can’t judge a turtle by its shell! From where did Tommy hatch? Matthew was on a family vacation when they had an unexpected encounter. A friend found a turtle nearby and put it in a box. They kept the turtle for one night and released it back in the woods early the next morning. However, when they turned back a few moments later, it was gone. That little guy made a big impression, and Matthew imagined a secret life for that turtle. 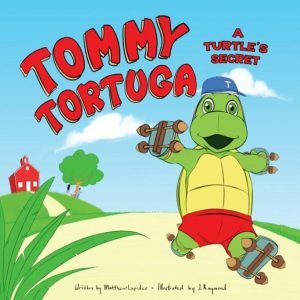 The extraordinary Tommy Tortuga was born! 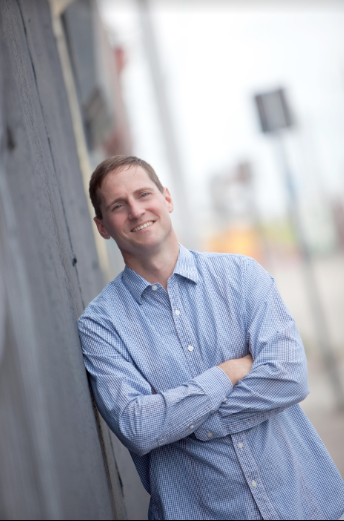 Matthew Lapides is a father, husband, and business owner. He was born in Annapolis, MD, attended Lehigh University in 1987 and lived in central China, Los Angeles, and Pittsburgh before moving to Miami in 2005. He currently lives in Coral Gables with his family. After being disenchanted from a nearly 15-year affiliation with Wall Street, in 2011, Matthew founded Ethos, a private firm providing investment counsel to a small number of successful and kind families. While deeply passionate about his career, it has never defined him as a person. Despite nerdy letters and numbers behind his name, friends call Matthew a modern-day renaissance man. Matthew is inspired by both art and science, his alter ego craves creativity and he has found ways to enjoy life in addition to a successful career. In the early 1990s, while working near Huntington Beach, CA (Surf City, USA), he hand-built custom bicycles, launched Joyride Bicycles at the first Extreme Games and mass-produced products in China achieving global sales. At the same time, he was an avid surfer as well as a competitive triathlete for nearly a decade. Starting in the early 2000s, he became a devoted kitesurfer, and renovated several historic homes. In 2009, he became a father and found a love in being engrained in school and family activities. In 2016, his family built a 17’ wooden sailboat in their garage that he tows with a bicycle to the boat ramp. Matthew’s been known to make a variety of art, and often he sits down to sketch or make note of an idea that just came to mind. Matthew recently began to publish a variety of children’s books as a channel to share relevant topics, inspire family conversations, bring smiles to others and to encourage others to think creatively. Often serious, usually a bit silly, always patient and tirelessly creative, Matthew’s hallmark is helping others to be more… both personally and professionally.